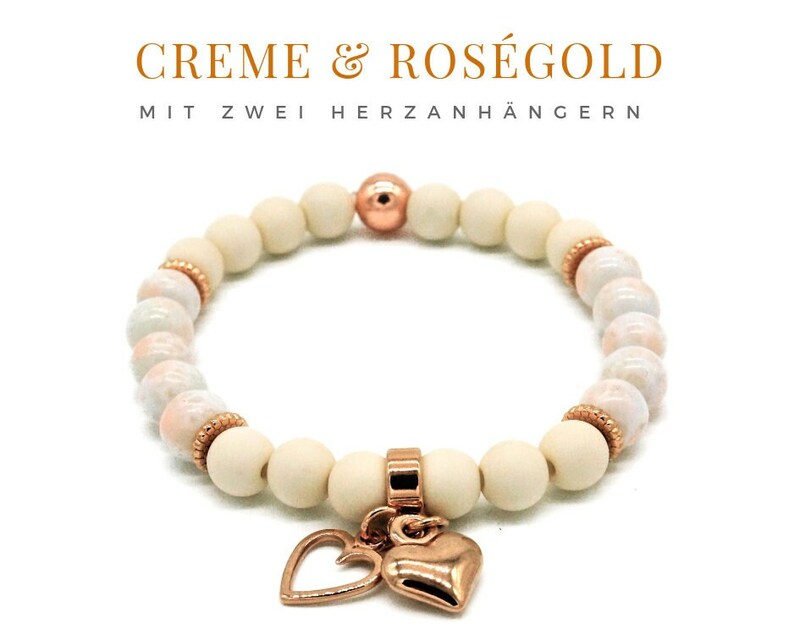 Elastic bead bracelet in cream and Roségoldenen beads. Especially noticeable are the two pendants, hearts in Rose Gold. 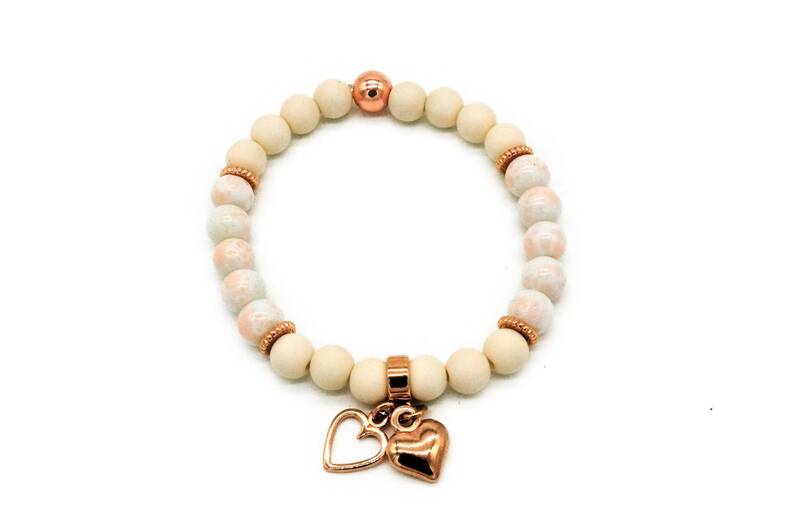 In half, the bracelet consists of mottled white-pink acrylic beads and the other half is made of wooden beads in cream beige, in between are small spacer beads in rose Gold. 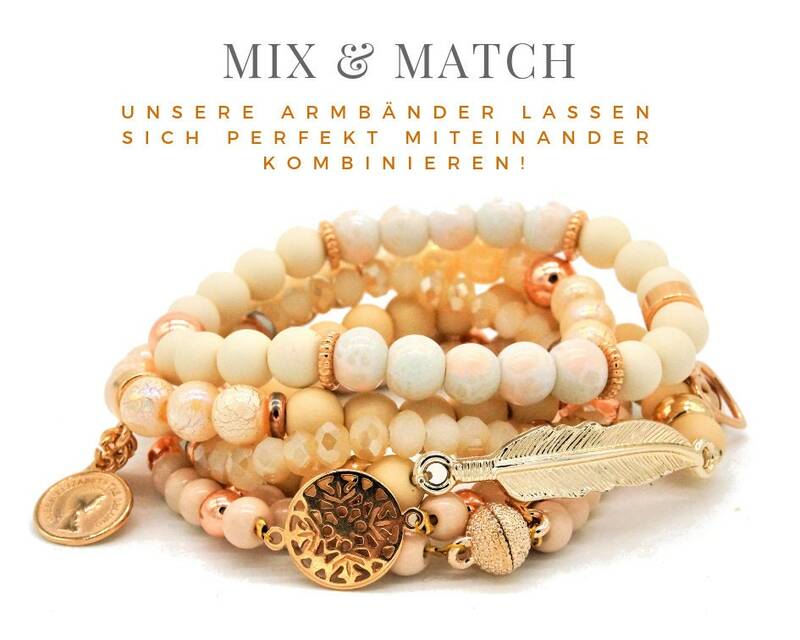 The 20 cm long bracelet is elastic and is shipped as a gift wrapped in a organza bag.